Poor hiring decisions are a real threat to companies operating in today’s competitive market. Recently one of the UK’s leading job sites publishing its findings following a survey of 200 recruiters. The study focused on how poor hiring decisions affect companies. The fact is, bad hires are costing your business money with each poor decision estimated to cost £15,000 and much more for senior hires. The bad news is the crippling long-term effects of poor hires, but the good news is that everything can be fixed if you know what to look for and how to lead your recruitment process towards better days. Here we share some insights into how you can avoid making bad hiring decisions for your organisation. The advantages and necessity of a crystal clear recruitment strategy are well documented. We’ll say it again anyway: you must develop a clear recruitment strategy to avoid making poor recruitment decisions. Research confirms that if you don’t have a solid recruitment strategy you risk 44.4% higher staff turnover, 22.2% financial losses, 16% decline in productivity, 8.3% lowered staff confidence and 6.9% negative branding for the business. Note that in addition to threats to the business success, there is also the pernicious issue of low staff morale to navigate. Significant sums of money are invested in securing talent for your company, and a lot of that money is lost. In fact, 66.1% of recruiters say they’ve lost a large sum of money on poor hires; 19.5% confess they’ve lost between £15,000 – £30,000 and 14.4% confirm they’ve lost over £30,000. With competition for recruiting the best talent set to intensify, your company cannot afford to make bad hiring decisions. 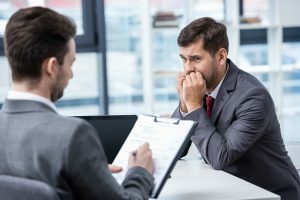 Careful and focused screening of candidates needs to be introduced at the interview stage. The harsh reality is that people are being hired for roles they cannot do, or in some cases they may be taking advantage of the opportunities available and defrauding the company. Not only are these costly errors internally but they can also cost your company dearly in negative press. Screen your candidates thoroughly, making absolutely sure there are no lurking convictions or exaggerated CVs and skills rendering them incompetent for the role. While the pressure to hire the best talent is real, make sure you’re not rushing candidates through the hiring process. After attentive screening and interviews, the recruitment process is far from finished. As we have previously emphasised, your recruitment process must culminate in carefully designed onboarding. Make sure that you continue to observe and engage new hires during your onboarding process to ascertain their personality and suitability for your company culture. Some candidates are economical with the truth because they want a job; it’s your job to make sure an informed decision is made prior to offering a candidate a role. It’s important to appreciate the damage poor hiring decisions inflict upon an organisation. For example, the last thing you need is a poor hire taking to social media to complain. You may find desirable candidates decline to be interviewed as a result of the negative press on social media channels. Recruiters cannot afford to be complacent or careless. Given current pressures and circumstances, that’s exactly the impression that poor hiring decisions can create.